The Lion City’s average fit out costs are $100 psf versus the SAR’s $94. 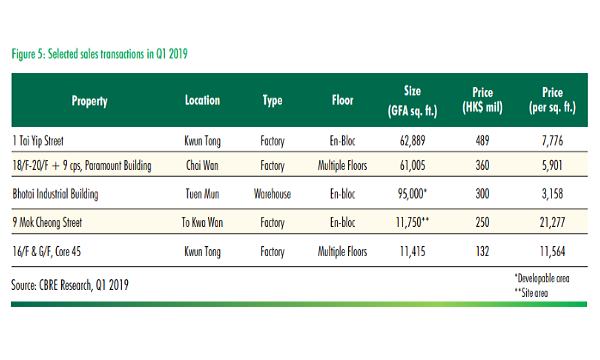 In spite of global distinction hailing Hong Kong offices as the most expensive in the world, fitting out an office in the SAR is only the fifth priciest in Asia with average fit-out costs of US$94 ($735) per square feet, according to real estate consultant JLL. Average fit-out costs of offices come inclusive of builders works which account for the largest share of expenses followed by M&E works, design and professional fees, AV & data and preliminaries. Furniture costs in SAR offices are also in the higher tier of the regional rankings with a sixth place ranking that costs around US$25 psf. 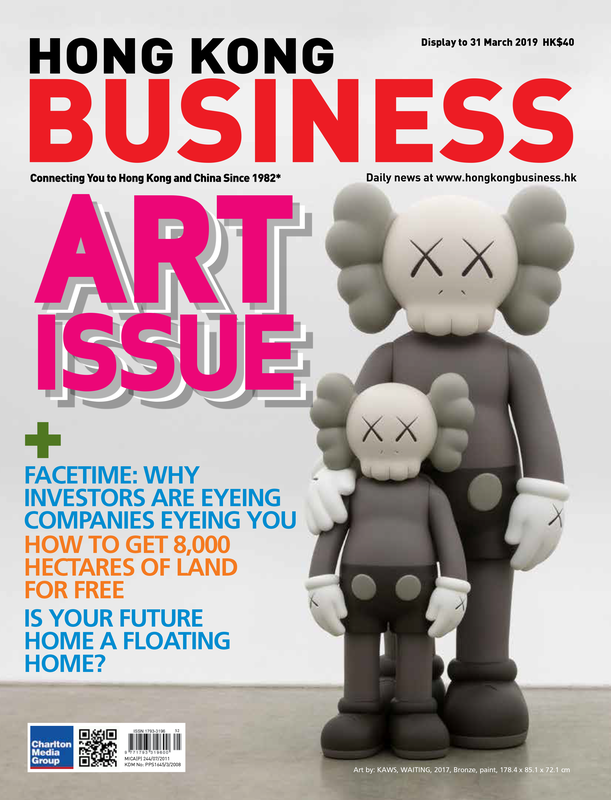 This puts Hong Kong in a position where it trails behind Auckland, Sydney, Seoul, Tokyo and Singapore in the subcategory. Tokyo leads the regional rankings with average fit out costs of US$165 psf (JPY17,970) as construction costs compete with the forthcoming Olympics coupled by an ageing labour market is pushing costs up. Seoul and Sydney follow closely at US$109 psf and US$107 psf respectively. Fitting out an office in Singapore also costs more than the SAR at US$100 whilst Taipei and Perth complete the Tier 1 markets where costs exceed US$90 psf. 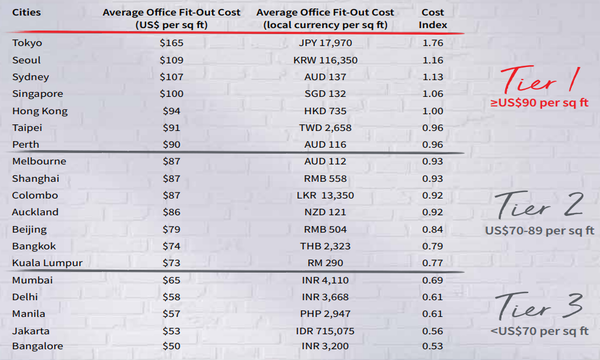 However, average fit-out costs in Asia-Pacific which range from US$50-US$165 psf is still cheaper than the United States and Canada region where costs can go between US$140-US$203 but more expensive than the Europe, Middle East and Africa region at US$44-US$97.